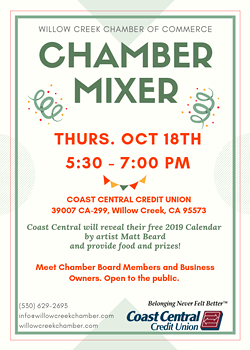 Coast Central Credit Union is kindly hosting a Willow Creek Chamber of Commerce Business Mixer. Coast Central will reveal their free 2019 Calendar with beautiful paintings by artist Matt Beard and provide food and prizes! 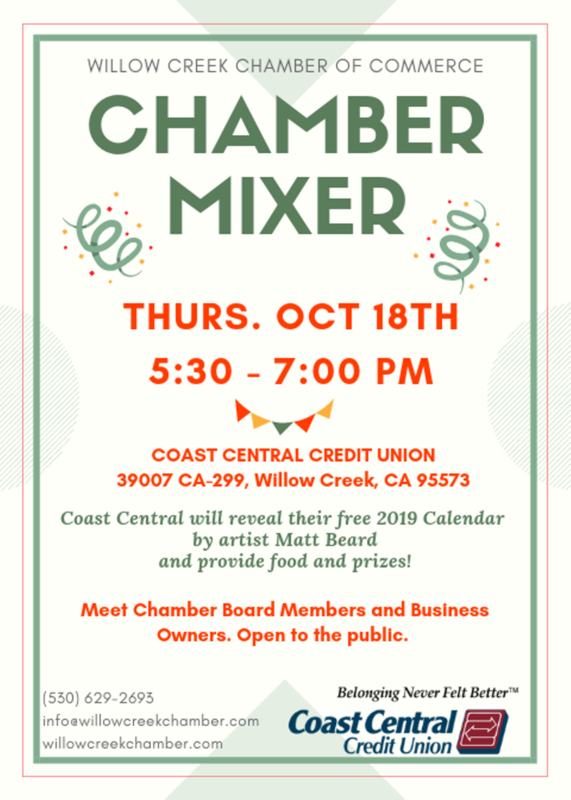 Meet Board Members, network with business owners, share your ideas on business development and let the Chamber know how they can best support business in Willow Creek and Eastern Humboldt. Bring your business card for entry into a drawing for a free 2019 chamber membership. The public is welcome to attend.